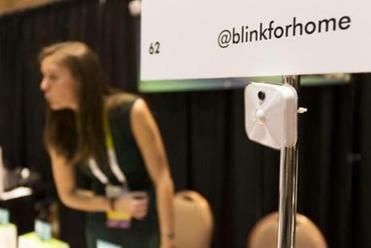 Andover-based Immedia Semiconductor unveiled its battery-powered, Internet-connected Blink surveillance cameras in 2016. The Andover company that makes the Blink line of high-resolution video cameras for home security has been acquired by online retailer Amazon.com for an undisclosed sum. Immedia Semiconductor Inc. began life as a designer of microchips but moved into consumer electronics when its engineers invented a chip that could run for up to two years on two AA batteries and could process high-resolution video. The company raised $800,000 on the Kickstarter crowdsourcing service to fund the development of an inexpensive camera using the technology. The cameras cost around $100 and connect to the home WiFi system, so a user with a smartphone can keep watch on his home anywhere in the world. The company has continued to expand its product line and recently introduced a video doorbell with weatherproofing, motion detection, and night vision. The Andover company expands beyond surveillance cameras and challenges industry leaders.